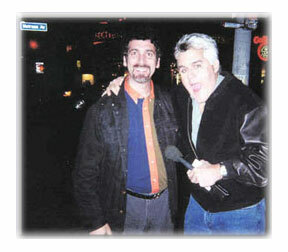 on the Sally Jesse Rafael show in Sept 2001. Watch the proposal in my video section! Toby Van Eck of Johannesburg, South Africa. when she was in Austin for a film festival. Yes, I am very scared!! 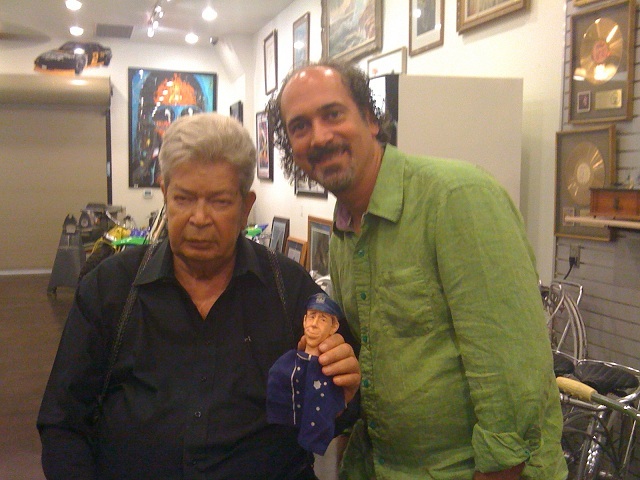 at the Gold & Silver Pawn Shop. and have him sign my Tennessee Tuxedo soakie. 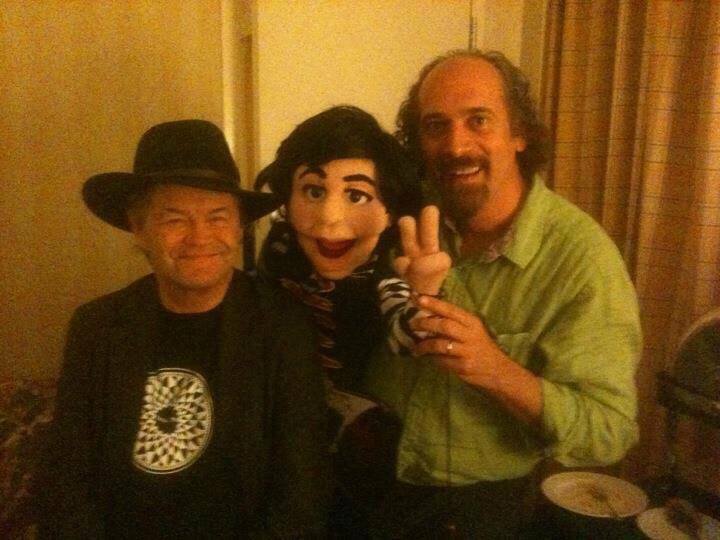 Ask me how I met Micky Dolenz? 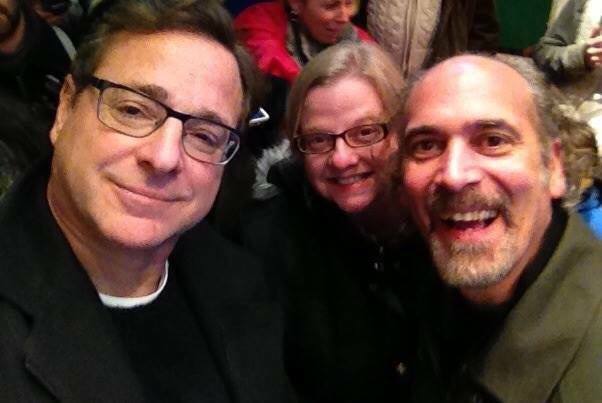 My wife, June and I met Bob Saget at an off-Broadway play called "Hand to God." 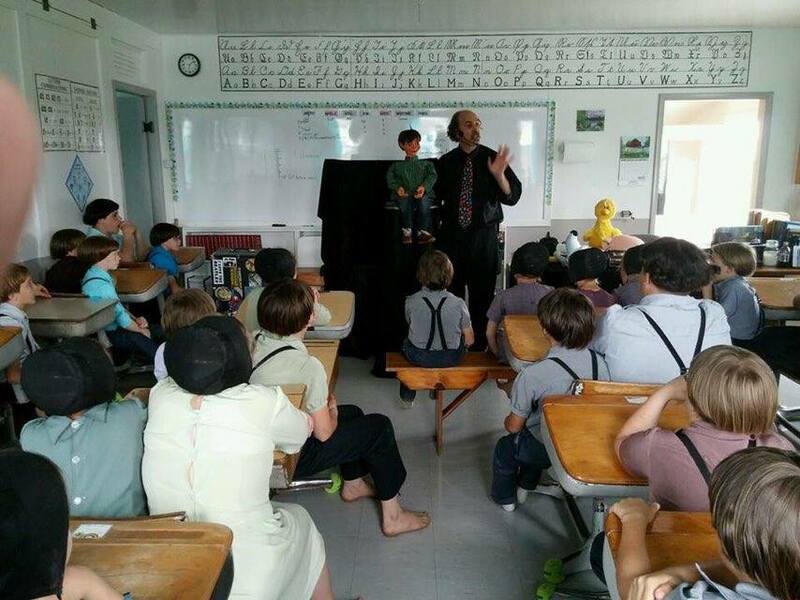 The play was about a Lutheran Minister and a puppeteer. 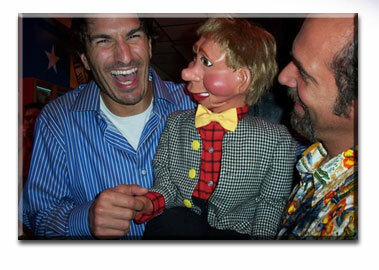 What a coincidence - I'm a puppeteer and my wife is a Lutheran Minister! 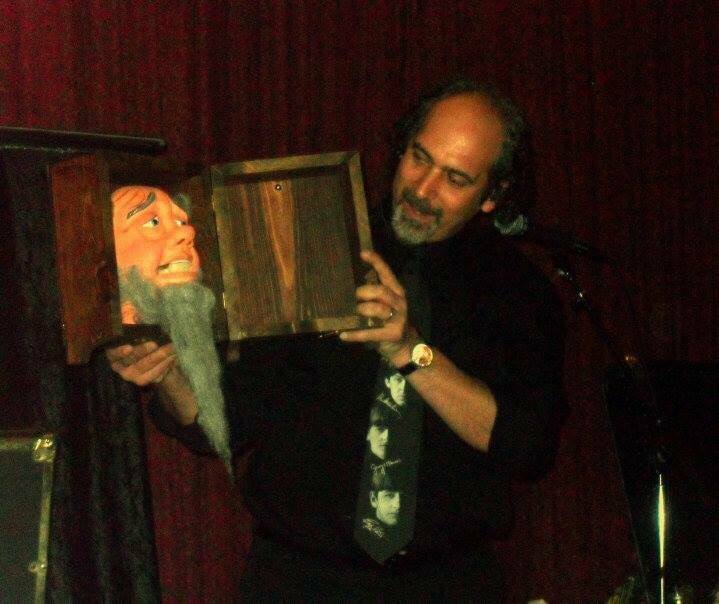 What a thrill to be the opening act for Andy Gross the magician at the Red Skelton Theater in Vincennes, Indiana. 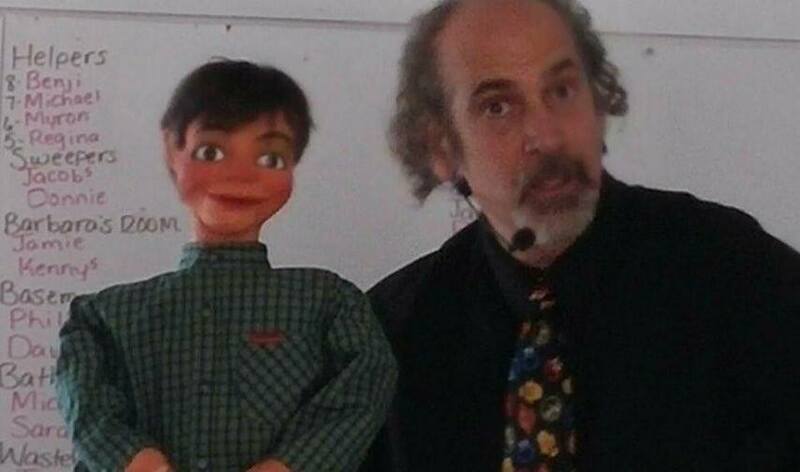 The audience and managenment loved the Mr. Puppet Show! 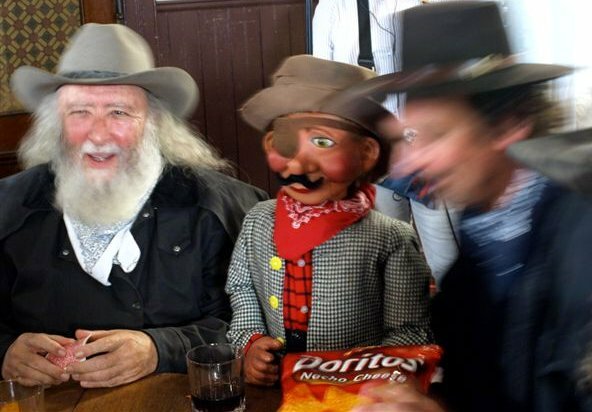 having a part in a Dorito's commercial. Filmed in Wimberley, Texas at an old saloon. Watch the commercial in my video section! the Ded Bob Show?? 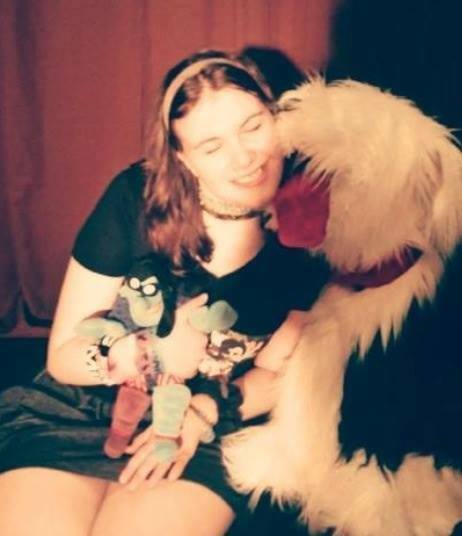 ...... ME! Mr. 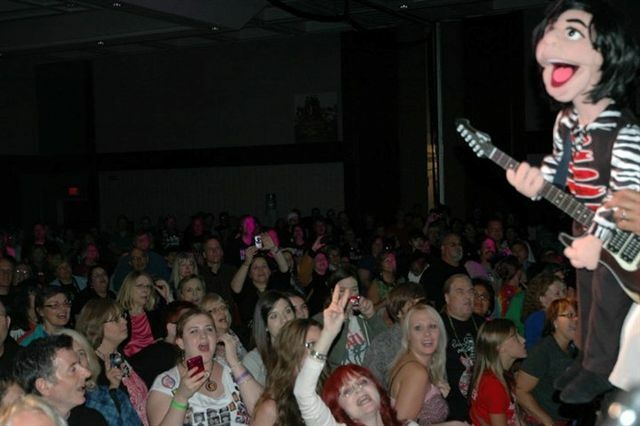 Speed (KISS tribute band)! 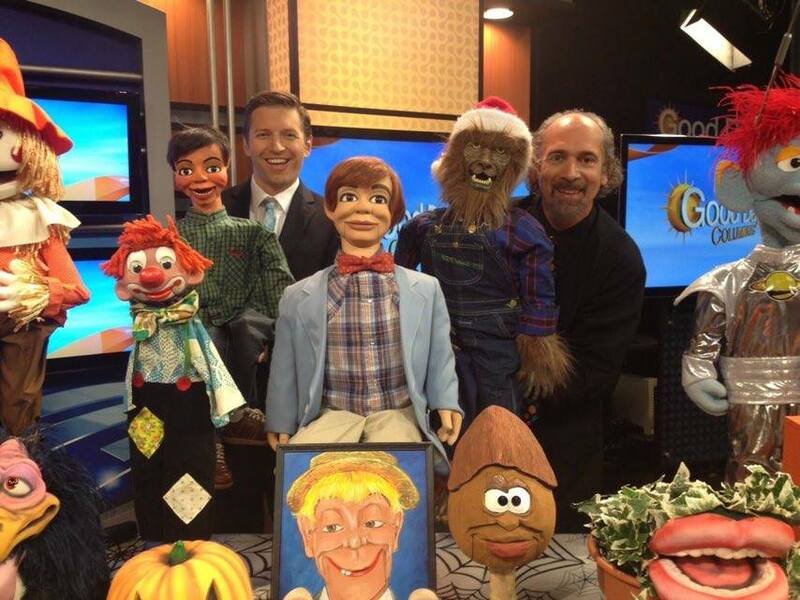 Promoting the art of puppetry on Good Day Columbus. 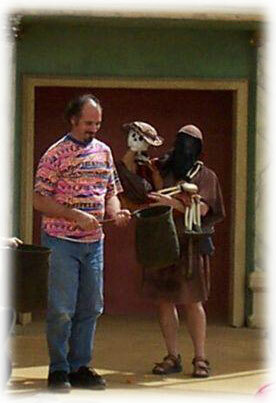 We make two or three appearances a year - Watch for us! 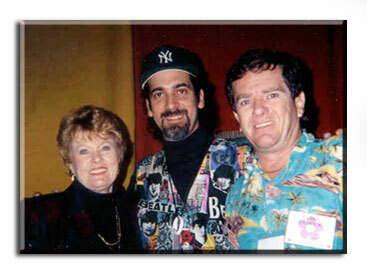 I have the privledge of being part of the Fest for Beatles Fans Family since 1995. Here are some great photos that capture the Beatles Love!! 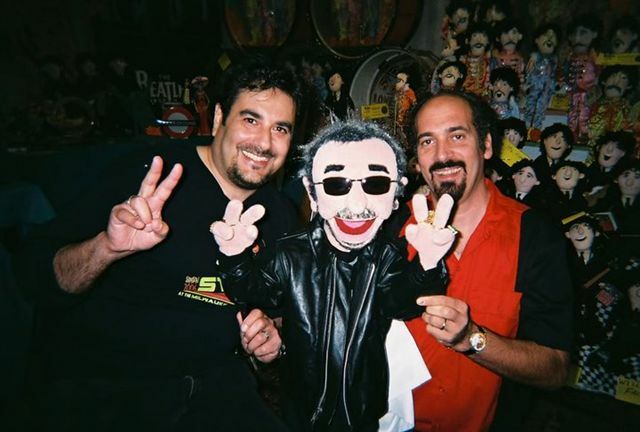 See my Beatles Show in my video section! 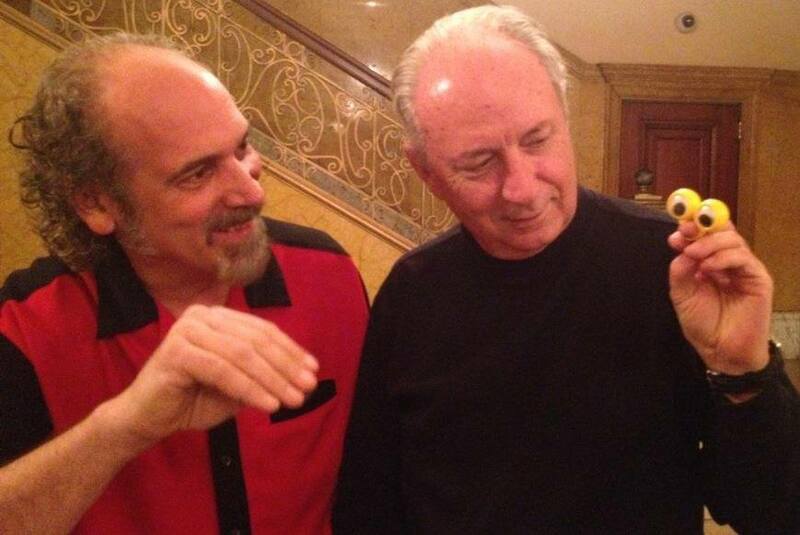 is meeting major Beatles guests!! I asked Joey Molland from "Badfinger" "please give me my camera"? (the real sister of George Harrison) Louise Harrison. 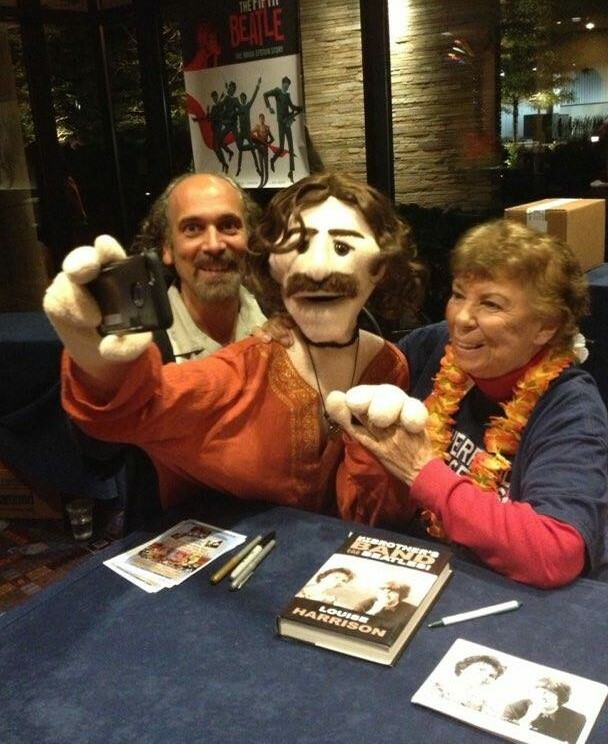 She told me that George was aware of my Beatles puppets while he was still with us. 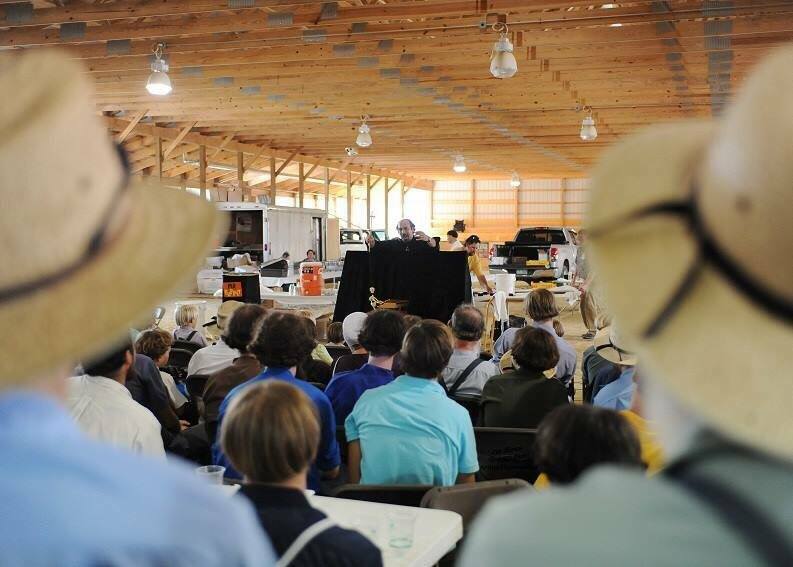 One of the privileges of living in Ohio is performing for the Amish community. 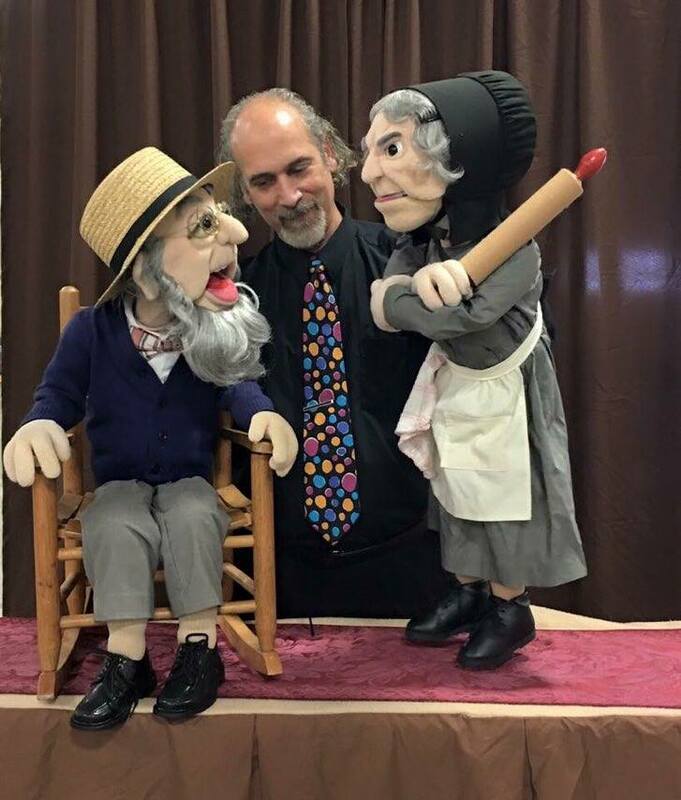 Mr. Puppet shows are Amish-approved & performed over 50 Amish Schools in the past 3 years. I personally consider these shows a blessing and an honor. 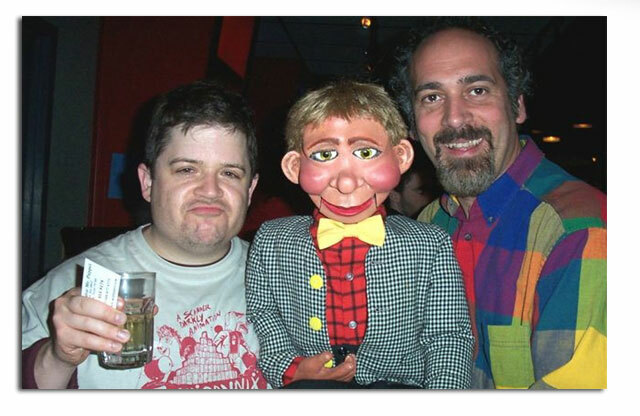 I finally made it, Mr. Puppet is now international!! 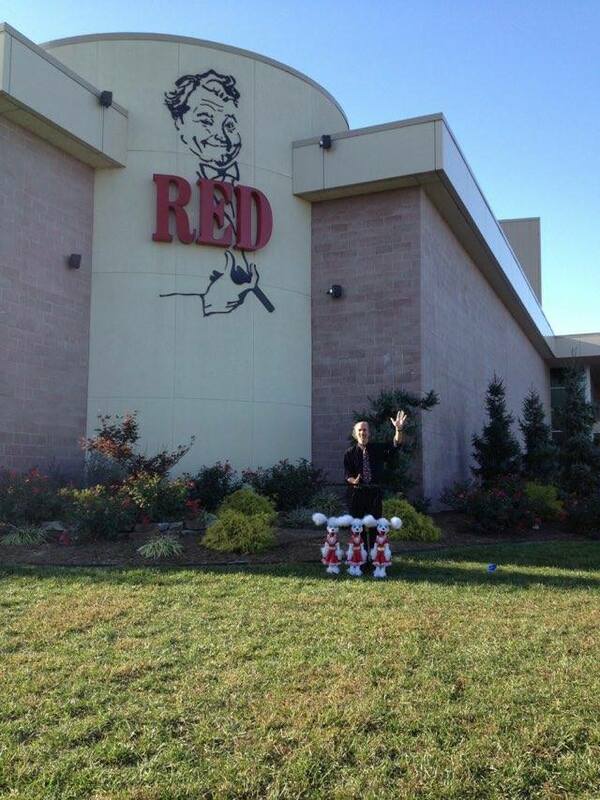 where I performed and lectured. 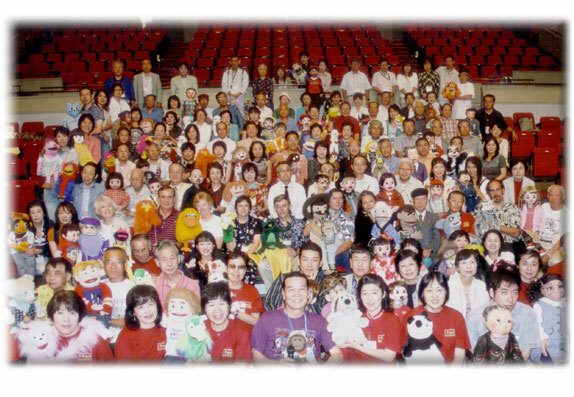 Can you find me in the group photo??? and saw "squid on a stick" to eat, ummmm yummy. 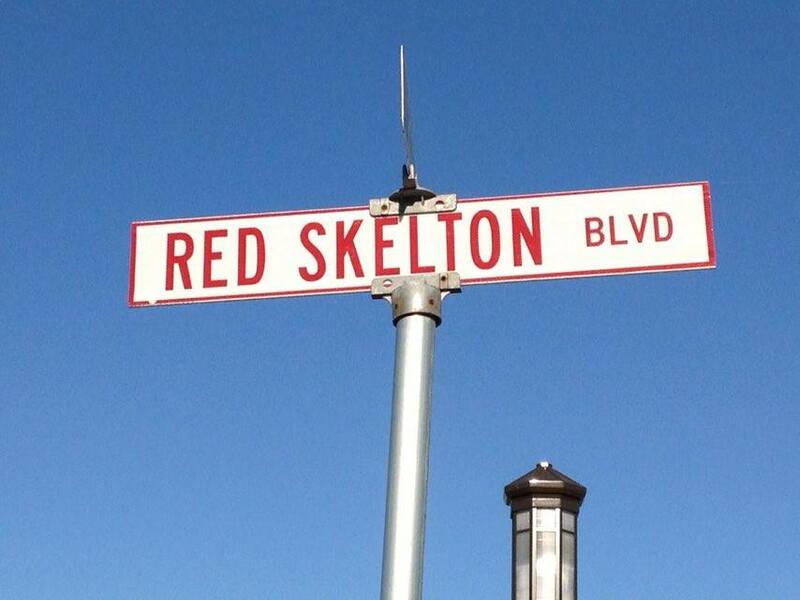 and the key to the city"
(that is what I would write!!). 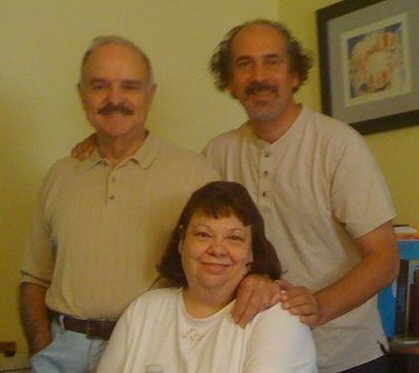 My father Jerry and my mother Phoebe visiting us from Ft. Myers, Florida. My brother Billy, twin sisters Tracey & Janis from Atlanta, Georgia. 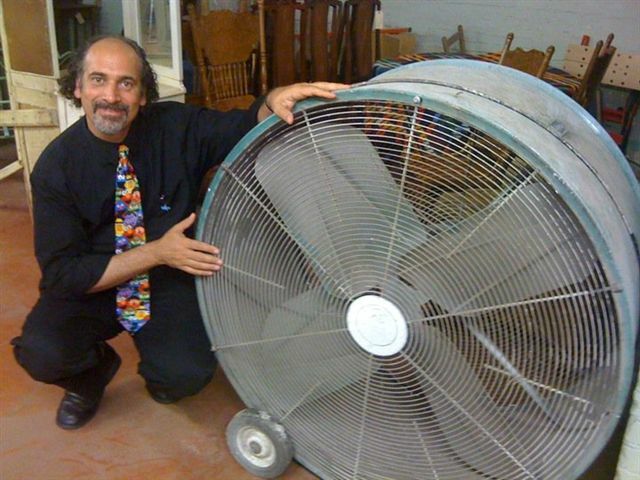 They are my biggest fans besides me being next to a big fan! 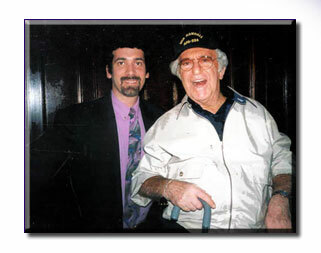 with Television Legend Soupy Sales. 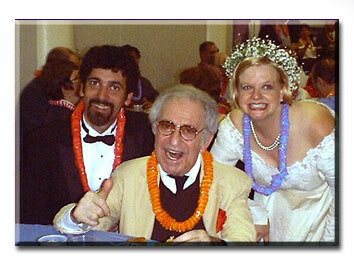 The BEST part of knowing Soupy Sales is that he and his wife, Trudy, attended our wedding and reception. Here he is with me and my lovely bride, June. 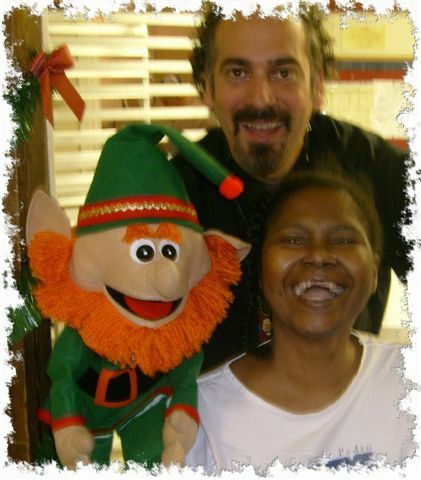 Knowing Soupy and Trudy Sales has always been special in my life. Before I moved to Columbus Ohio in august 2011, I always wanted to meet Soupy's son Hunt and his wife Heather and their daughter Sugar. . 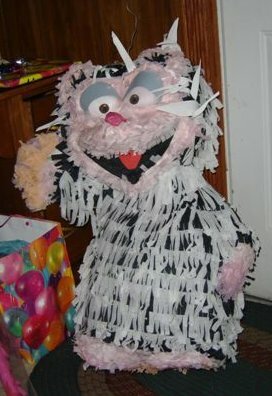 I got my opportunity when I got to perform for Sugar's 5th birthday party. It was a great send off before leaving Austin, Texas. I was in awe and it was like a dream come true. Thank you Hunt, Helen and Sugar!! I think it was something about an oreo cookie?? 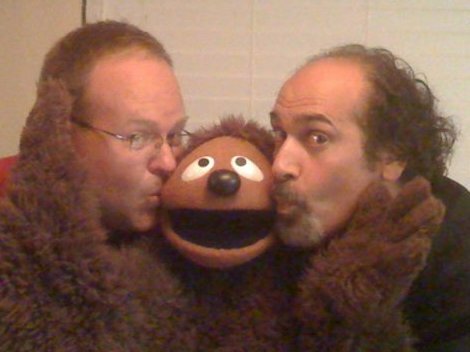 And Jay London also from Last Comic Standing tells Rusty and Me the time he was reading his check book and got to the 3rd line and lost interest!! 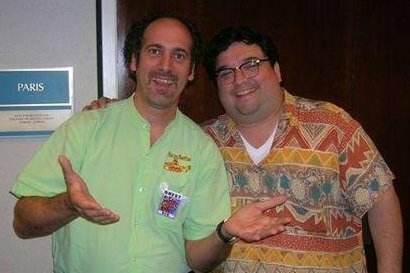 From the TV show "King of Queens"
is Floyd Vivino, known as Uncle Floyd. at the New Jersey restaurant called Calouchi's. 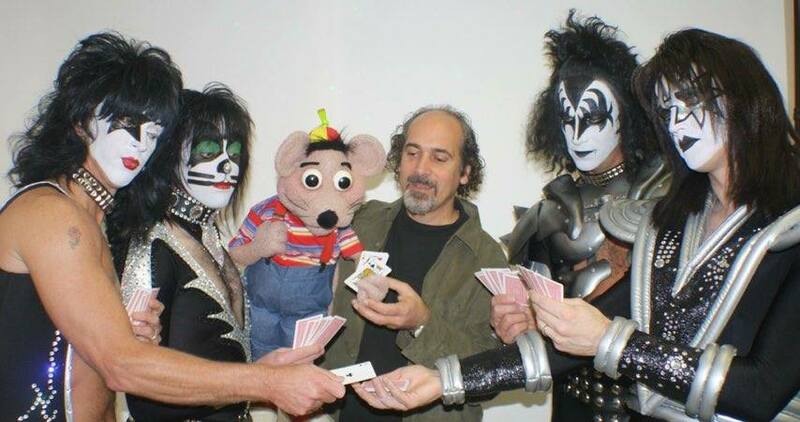 This was a fun night, thanks Uncle Floyd!! 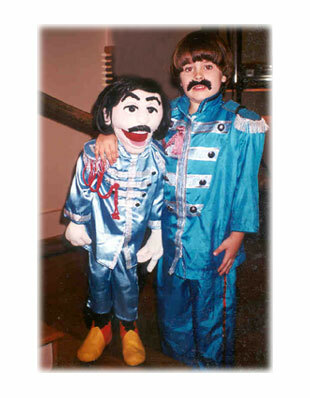 I was a "washing machine" for halloween in 1969. 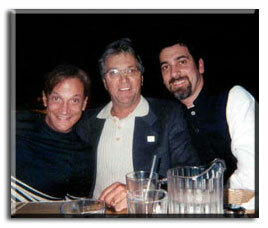 Ralph Fratianni from Edison, New Jersey..
Kevin Stark from Pauls Valley, Oklahoma. 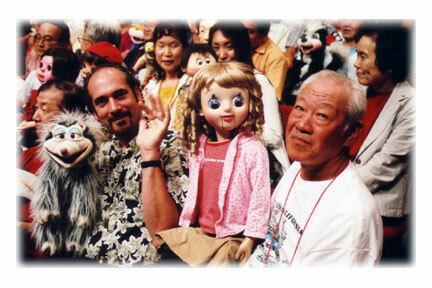 The Toy and Action Figure Museum. When June and I first went to the museum, my first thought was: "This must be what Heaven is like!? 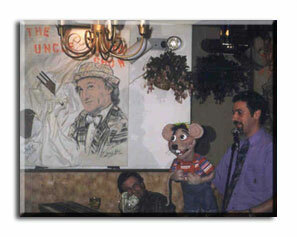 In 1995, I went to comedy school taught by comedian Jeff Justice. 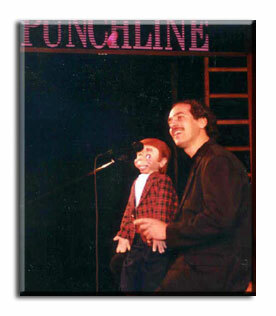 the Punchline Comedy Club in Atlanta. 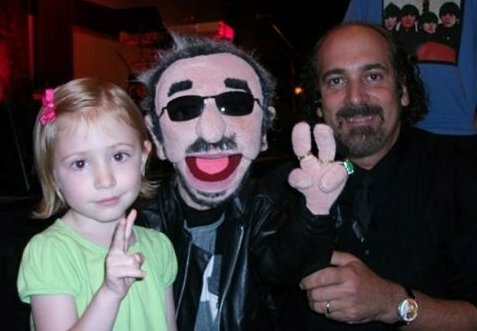 Here I am with Teddy (I was awful back then). I burned the video tape, no evidence!! The Muppet Movie "Muppets in Space." 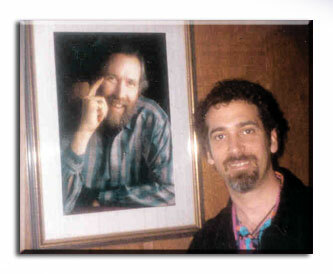 Here I am at the Henson HQ in Manhattan. I blame it on my toupee!! 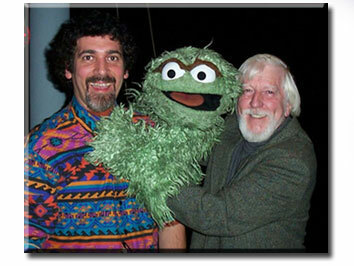 During 2003, we lived in Philadelphia, Pa, I went to a puppetry guild meeting and the special guest was Oscar the Grouch and the man who makes him talk, Carol Spinney. 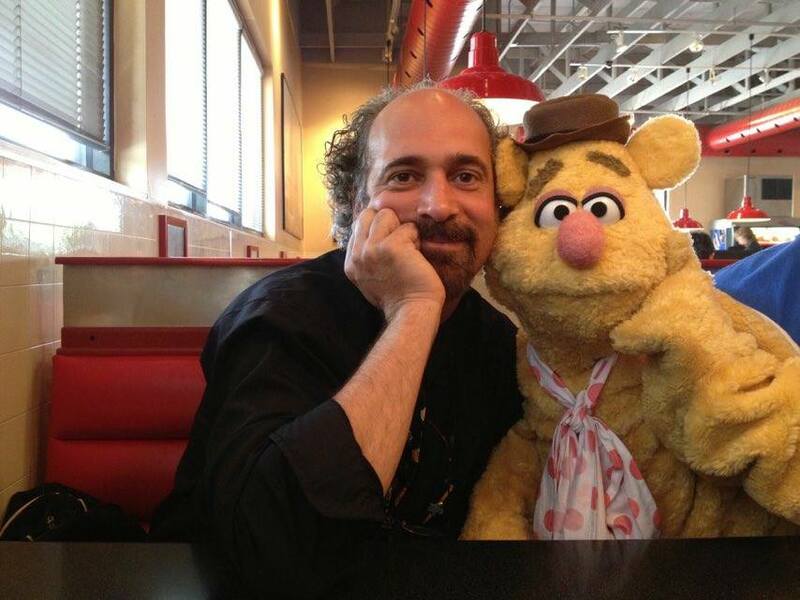 I said Hello to Fozie Bear! Say Kids, What Time Is It?? 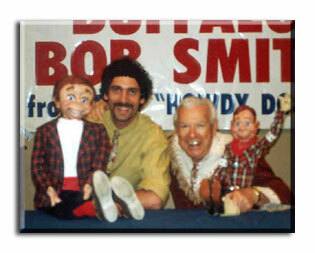 Buffalo Bob Smith and Howdy Doody. 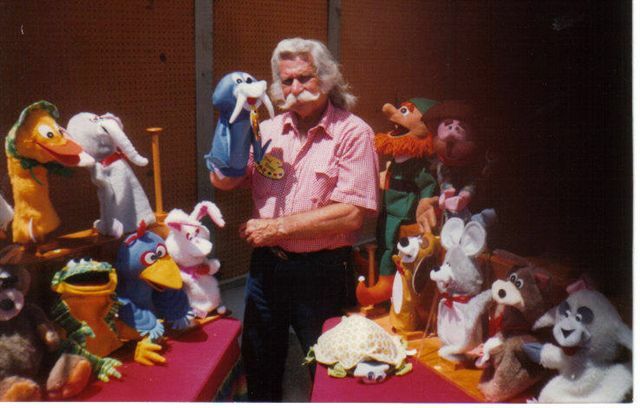 other until his death in 1998. 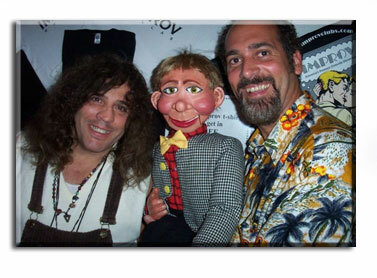 Yes, that is Jenny Jones with me and Cousin Joey. 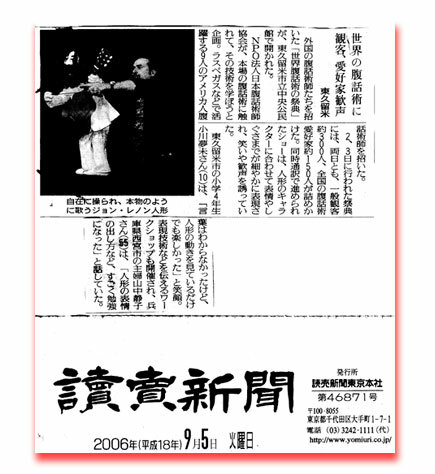 We did her show some years ago. 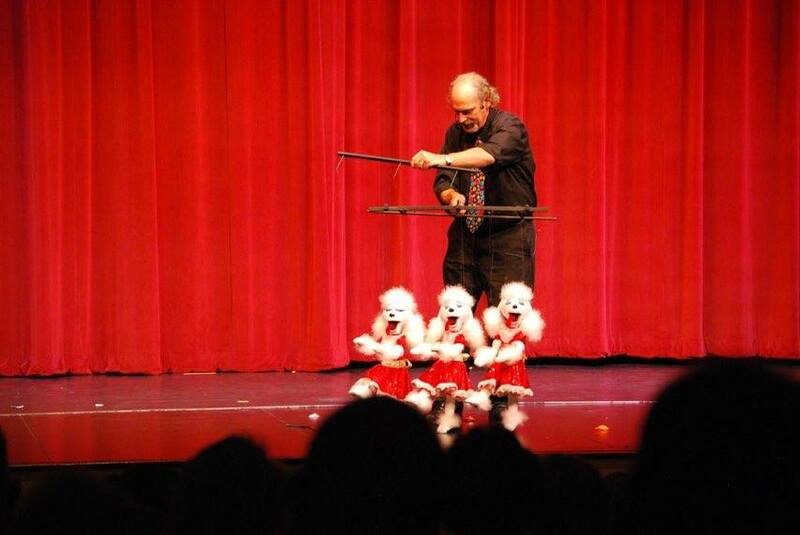 It was a talent show that went wrong! highlight show for the year. Space Ghost Coast to Coast. Episode #51 titled "The Telethon". 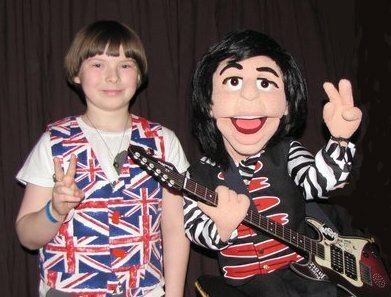 In these 2 photos, we are filming the segment with puppets Robbie and Elvis. 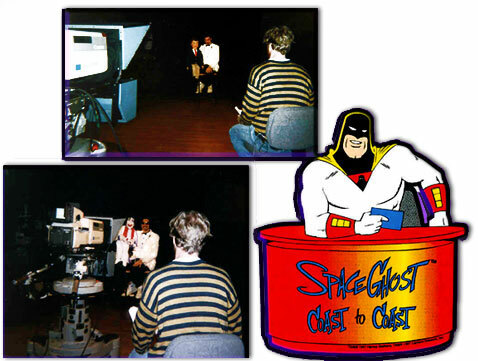 See my appearance on Space Ghost on my video page. 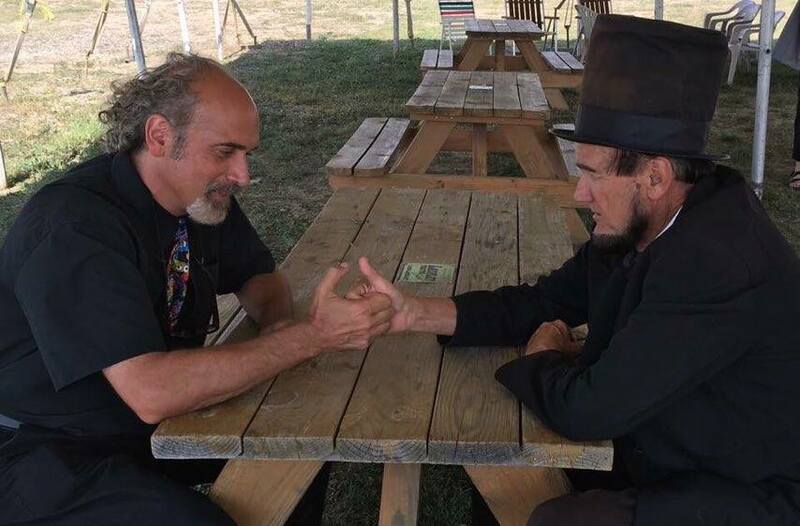 When the 16th President of the United States challenges you to a thumb-wrestle, you don't refuse! I got to perform with some major stars at the New York "Rock-Pop & Peace" show. who played Tabitha on Bewitched. 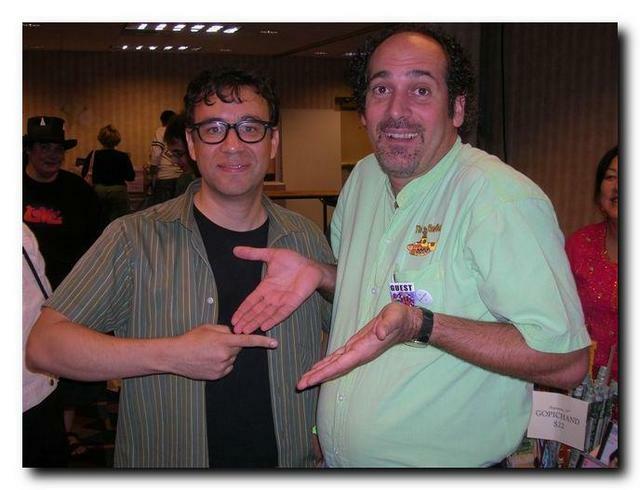 Ron Palillo, Horshack of Welcome Back Kotter. that Oliver Hardy was born in Harlem, Goergia? 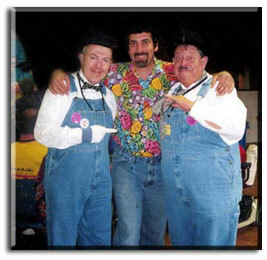 Here are 2 great friends and Laurel and Hardy look-a-likes, Dennis and Dale from Ohio. 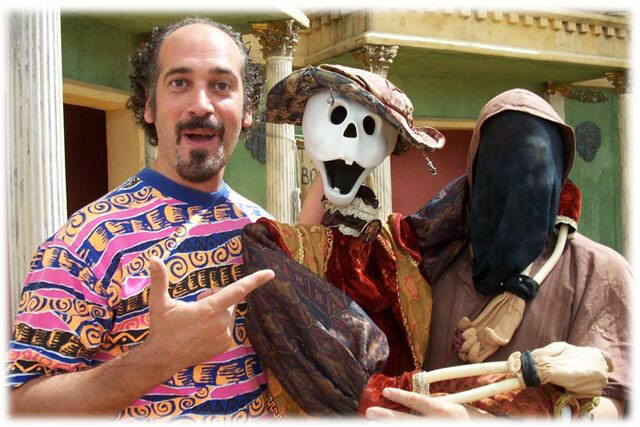 That is me in the middle! 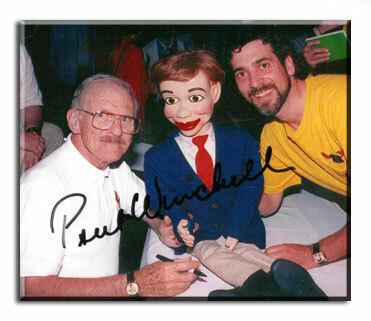 A wonderful couple that really promoted the art of puppetry. 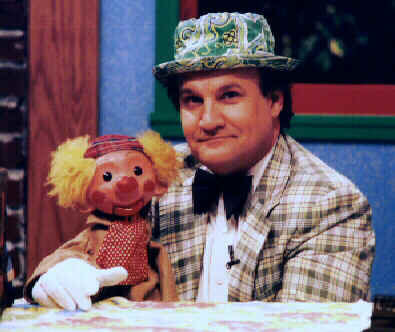 I will always be jealous of Fred, he still had a great head of hair up until the day he passed away. 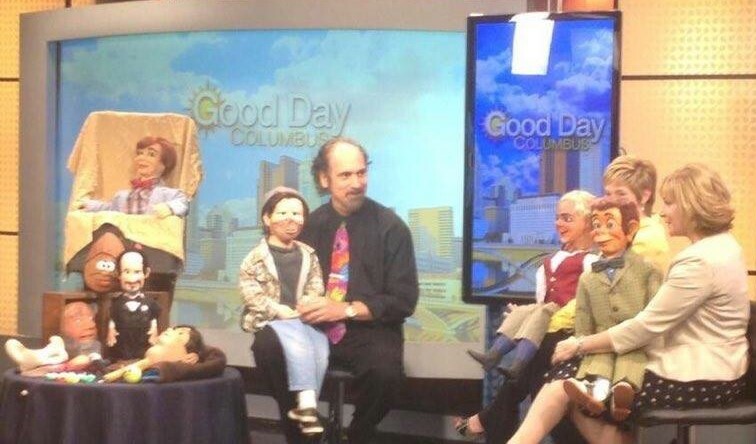 A local show in Atlanta called"Good Day Atlanta" had my puppet family on for the whole show. 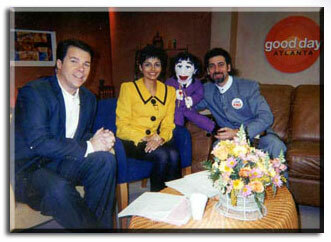 Here I am with Ringo, who did the weather forecast before the commercial break. 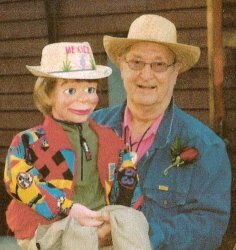 the 1997 Ventriloquist convention in Las Vegas.